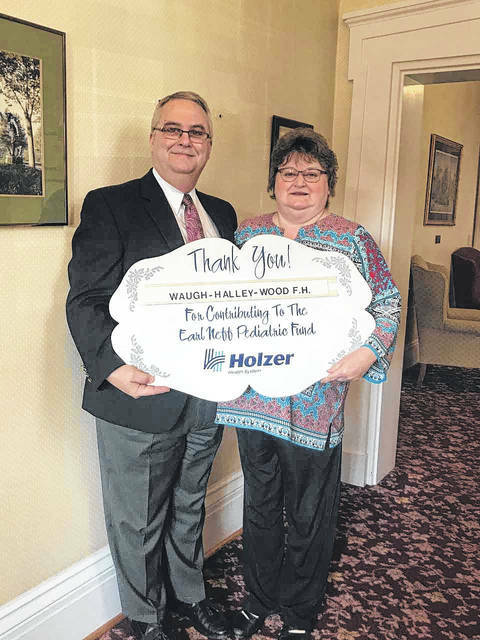 An April sponsor for the Holzer Pediatric Fund is Waugh Halley Wood Funeral Home, represented here by Gene and Peggy Wood. 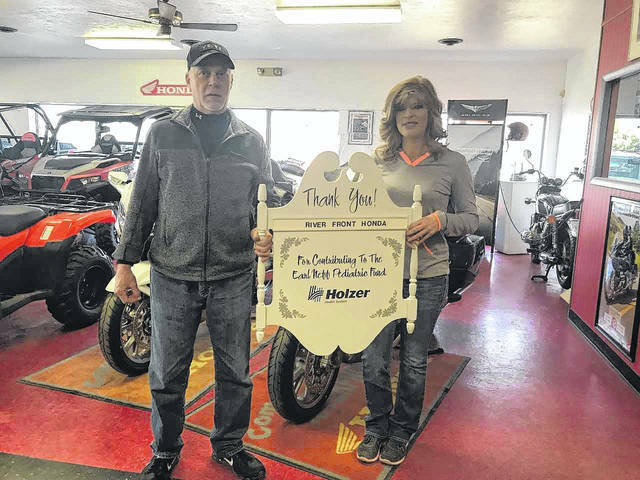 An April sponsor for the Holzer Pediatric Fund is River Front Honda-Yamaha-Polaris, represented here by Howard Plantz and Bridget Jacks. The Pediatric Fund, in existence for over 45 years, has supplied needed toys, equipment and entertainment to thousands of Pediatric patients who have received care from Holzer Pediatric Services. April sponsors are Waugh Halley Wood Funeral Home, represented in the photo by Gene and Peggy Wood, and River Front Honda-Yamaha-Polaris, represented by Howard Plantz and Bridget Jacks. The entire staff of Holzer along with the young children and their families joins in expressing their gratitude to our donors, for these generous contributions to the Earl Neff Pediatric Fund. Anyone who would like more information concerning this program may contact Linda Jeffers-Lester at Holzer Heritage Foundation 740-446-5217.